NSE Windows is a Factory Authorized Windows and Door Installations Company and Replacement Outlet located in Massapequa on Long Island, New York. We are a Manufacturer Certified Retailer for Marvin, Integrity from Marvin, Soft-Lite, Sunrise and ProVia Windows and Doors Sales and Replacement Services. We have the best collection of Vinyl, Wood and Ultrex Fiberglass Windows and Doors to add style, class and elegance to your house with almost unlimited customization options. Plus, when it comes to window and door coverings, our customers can expect the best from Norman Window Fashions. An exclusive service offered to our customers, Norman Window Fashions is driven by a commitment to quality, safety, and a solution-based approach. With over 40 years of excellence in crafting fine window furnishings, Norman®'s quality has made it famous. It's what drives Norman® to innovate. And why you can see it in every detail. Few companies will farm their own wood, make their own components, or weave their own cords. At Norman®, everything matters. And anything's possible. 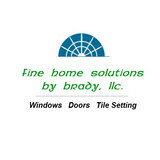 Fine Home Solutions By Brady, LLC. More than thirty years experience in window and door sales, tile setting, installation and service. We can help you with the best solution to your fenestration needs. We install and service only the high quality brands like Pella, Andersen and Marvin. Tile setting includes walls, floors, back splashes, and shower and tub enclosures. We strongly recommend the use of Schluter Systems products for waterproofing and crack isolation in all tile work. The professional staff at Clearview Inc. is ready to help you with all your window and door needs for your new construction, remodeling, or refresh project. Our sales team will work with you to determine the best and most beautiful products for your needs. They pride themselves on paying attention to the details so you can accomplish your construction or improvement project in a cost effective and timely fashion. You can be comfortable knowing that an experienced representative will ask all the right questions to be sure the details of your unique setting are addressed. If you are a contractor or builder we will supply you with these products paying attention to the details of your project to assist you with cost effective materials and timely supply. If you are a homeowner or business owner we can supply these materials as well as provide installation if you are not already working with a contractor or builder for the installation. We hope to see you at our showroom! We at Ikon windows provide fenestration solutions for all types of projects . We have partnered with the best European manufacturers that have been producing high quality products for over 20 years. Our extensive line up of products allows you to find exactly the windows that you need and want. Whether you are looking for the higher performance passive house windows, modern luxury windows, affordable uPVC and everything in between we will find the right solution for you. We are located in Brooklyn New York and have worked with clients all over North America. Each and every one of our windows and doors is custom made in our manufacturing plants in Europe and shipped directly to your Job site. Innovative Glass, a New York based company, has been focused on creating and providing Dynamic Glass & switchable SmartGlass Solutions to the world since 2003, using our proprietary eGlass products. eGlass marries glass with electronics & other dynamic technologies, giving the user full control of light, privacy, sunglare and heat gain automatically, or at the touch of a button. The eGlass product line consists of switchable LC Privacy Glass, variable-tint SPD SmartGlass &sunlight responsive SolarSmart Glass. eGlass can be provided in virtually any shape, size and configuration for integration into other manufacturer’s windows, doors, skylights, and partition systems. Located in Brooklyn, NY servicing the Brooklyn, Staten Island, Long Island and Manhattan Metro market, Window & Door Pro, LLC. has built its business over the last decade on the belief that our customers’ needs are of the utmost importance. Our entire team is committed to exceeding your expectations. As a result, we take pride in knowing a high percentage of our business comes from repeat clients and referrals. We welcome the opportunity to earn your trust and deliver you the best service in the industry. With over a decade of real-world experience and the support of some of the industries largest companies, you can trust that your project is in the right hands. Unlike our competition, we offer and install a variety of brands. This allows us to select the perfect product for your project and budget! For our Residential clients, we can handle all aspects of your project from the initial consultation to the completion, we’re here to help. All of our full-time in-house staff is Background checked. We are a Pella Select Window and Door Expert Installer and Dealer. We are the factory trained and certified Anderson Window and Door Service Specialist. We are NY’s only factory trained Andersen Certified Installers. We are Marvin trained installers. We are Landmark window Specialist. Commercial clients and Property Managers, please contact us so we can show you how we can help bring your project in on time and on budget! Home Supply Window & Door is your one-stop source for all residential and light commercial window and door needs in the NYC metro area. Our team brings knowledge, experience, and a reputation for detailed care and quality products. We provide both sales and installation services, and therefore can answer all questions you may have regarding window options, door replacement procedures, installation methods, window and door technology, or anything else. Our service area includes all the counties shown on the Contact Us page of our website. We bring factory direct prices to the consumer, and offer the highest quality windows and doors for homeowners, builders, or architects in New York City, Ridgewood, Montclair, Summit, Short Hills, Closter, Franklin Lakes, Tenafly, Englewood, Glen Ridge, and surrounding areas. Our window options include wood, vinyl, fiberglass, and aluminum windows from leading brands such as Kolbe and Windsor. Our installation methods will meet all manufacturer specifications. We know that a window and door is only as good as the installation. Having your windows and doors installed right the first time by our experienced team will provide peace of mind with performance and durability that lasts. Our detailed work, industry experience, and commitment to 100% client satisfaction makes Home Supply Window & Door the preferred provider for your window replacement and door replacement project. Our showroom is in Hawthorne, NJ, where you can get ideas for your window and door project and meet with our team of specialists. We are also happy to schedule a time to meet at your home, job-site, or office. Trust your window and door project to us, and we will help turn your visions and dreams into reality with quality products, reasonable prices, and expertise you can trust. 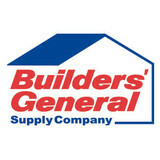 Home Supply Window & Door is a member of BRANNJ (The Builders and Remodelers Association of Northern New Jersey). We were recognized with a Best of Houzz award for client satisfaction. In addition, our rating with the Better Business Bureau (BBB) is A+. Call us today for your new construction or replacement windows and doors at (973) 949-5401. Our company is family owned and operated. Our guiding principle is, 'our customers are our business'. With over 20 years of experience we have a refined recipe for success built upon our comprehensive knowledge of the window business and an unwavering commitment to our customers. 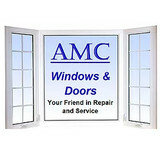 We are licensed and insured in CT & NY. At Window Solutions Plus we only use the highest quality products which meet local building code requirements and exceed the most stringent energy efficiency standards. We stand by our work at every stage and our work is not done until you are completely satisfied. So give us a call and we will walk you through the process from start to finish and help find a solution that meets your needs and your budget. We look forward to the opportunity to earn your business. 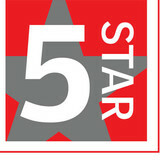 Our 5 Star Promise 1. Ethics and Values Guide Us Principled decisions direct our choices. We treat other as we would like to be treated in all our dealings. Fair, Responsible, Honest, Conscientious are words our customers would use to describe us. 2. Unsurpassed Customer Service We are responsive, timely, flexible and thorough. Our goal on every job is nothing short 100% complete satisfaction. 3. Educate and Inform We go to great lengths to educate our customers so they are informed. We want you to be informed so you can make the best decisions for you. You will be engaged in the project from beginning to end. 4. Completed Timely and On Budget We respect your time and understand the disruption a renovation can bring so we work efficiently and expeditiously. We also respect your pocketbook. Every contract we write has a firm budget and they are extremely detailed orientated to ensure the work scope is clear. 5. Done Right Guaranteed Nothing short of perfection is acceptable. We stand behind our work with industry leading warranties. Whether you’re building a new Copiague home, remodeling an old one or just replacing a few windows that are past their prime, your window dealer in Copiague, NY will help you pick the right windows for your needs, home style and budget. Windows come in so many sizes and types that expert advice and direction is invaluable in helping you make the best decision. These pros can also help you with custom window designs that complement your space better than something ready-made. Lastly, if you are interested in doors with windows, these experts are also knowledgeable about sliding doors, French doors and other paned portals. 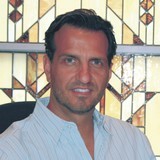 Your window pro might work closely with other New York builders and remodelers as well. Here are some related professionals and vendors to complement the work of window sales & installation: Window Treatments, General Contractors, Home Builders, Specialty Contractors, Siding & Exteriors. Find a window dealer on Houzz. Narrow your search in the Professionals section of the website to Copiague, NY window dealers. You can also look through Copiague, NY photos to find examples of windows that you like, then contact the window professional who worked on them.